TGIF because it’s time to showcase another one of my favorites…Alima Pure Eyeshadows! These loose mineral eyeshadows are probably the best I have ever used. 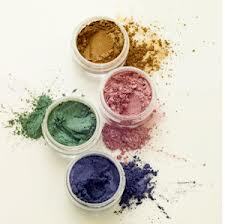 They have three different types of shadows: luminous shimmer, pearluster, and matte. Luminous Shimmers: Works as eyeshadow, highlighters as well as shimmer eyeliners. They come in 29 beautiful shades. Pearluster: These shadows are great dry for a subtle color or wet for a more intense look. These too work well as eyeliners. Pick from 15 different colors. Matte: 18 great colors to add some dimension to your look if you pair it with a shimmer or Pearl shadow. Check out these shadows as well as all the other amazing products that Alima Pure has to offer. Oooh, I love these Ab! The pigment of the mattes is so intense and I like how the shimmers are multi functional as highlighters. I must try! ulubeauty on DIY Summer Body Scrub! Kasey Jean on DIY Summer Body Scrub! I'm over 40. Beauty is ageless. Life should be lived. This is me!